Emojis fuels engagement. Engagement fuels product usage to a healthy and engaging content. With the help of a powerful medium, emojis add loyalty between business, & customers. When a user forms a habit. Because of a feature or in business world saying a meaningful value proposition met. "We have raised an entire generation on dopamine." An Average wait time from order to delivery of a pizza takes — 1hour. Well, if all the information are clear. Without a network issue. Options are clear. This time I’m trying a new one. Wait. I’m changing the Pizza base. 😟. By the time pizza delivered. People go damn. The human race will go extinct. Damn long. What if a person can order a pizza from his phone via text message. With A Single 🍕 Emoji. Domino’s takes pizza orders with an Emoji from text message. One emoji solving an astonishing communication issue. Emojis fuels engagement. Engagement fuels product usage to a healthy and engaging content. With the help of a powerful medium, emojis add loyalty between business, & customers. Listed down two engaging events, leveraged brands with simple engaging Content — Emojis. Spotify created custom Beatles emoji. With Twitter as platform the game is simple. Tweet and unlock the playlist. Influenced 6.5 million listeners in the first 100 days of the catalog. With 83% share of the conversation along with four other streaming services battle. 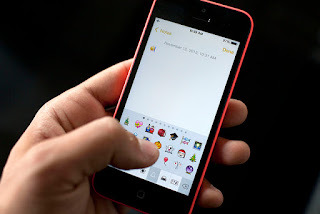 Taco Bell raised a petition to add Taco emoji to the keyboard. Post to 33K signatures, Emoji “🌮” is here. To celebrate, Taco Bell called 77 artists all over the world to create 1000+ assets of custom graphic. Users who tweet ” 🌮+ an emoji” to Taco, get in return a custom graphic of the combination. Two simple emojis did a job where some people who don’t do their job rite. What? Highest paid officials? uhh. “Companies leverage two basic pulleys of human behaviour to increase the likelihood of an action occurring: The ease of performing an action. The psychological motivation to do it.” -Nir Eyal. Numbers are behaviours, pure emotions, damn love symbol ❤️. Hey, how about this 😛?, this 😀, here 🐠, there 🎄, ta da 🐽. When a user forms a habit. Because of a feature or in business world saying a meaningful value proposition met. When a UX’er find a way to solve problems from the bottoms up. Experience delivered. Users sets a goal of “No.of likes for my profile Picture”. Best part, when it exceeds the “Likes” goal. Users form emotional motivation and create a behaviour. “We have raised a generation on dopamine”. Notorious drugs like dopamine are released when excessive social media usage happens. Technology should never run over users. Simple, basic, winning law in business, product, service, UX, & tech. I’m scared of AI, ML words, as long as they are no harm to humans. Because we got trump like humans to handle. What if an AI calls wife and Ex in a conference? Oooh. What if they collect confidential which are threats to humans. I don’t see a positive in a guy wearing a t-shirt with jeans and a casual shoes pretending to be the next Steve Jobs. Ain’t no more than one Jobs. I met a lot of folks who pose like classic Jobs. Like a hand in the cheek. I got to punch myself in my goddamn face. Holy ✴✴✴️k. A user will look for a reward for what he does. That’s human psychology. UX’ers can use this to leverage a positive usage among users. Better products for the Better world. The world with oranges. I mean the fruit. Yes, orange is not Trump. No. A emotional motivation leads to an action. Pumps adrenaline to use features like 💃 😘🌮🚀🛸🚬💊 💉🔫 💣 🔪 . One hot emotional creamed, physiological topped Emoji “😃” can pay bills for people. 🍖 🌭 🍔 🍟 🍕 🥙 🌮. Product > Feature > Emoji. User > Emoji > Engagement. Usage > Engagement > Revenue. Pay > Revenue > Employee. Salary > Employee > Bills. You see the flow? These Emojis takes care of our bills. If Beatles can sell after a long gap by an emoji. Why not business? For UX’er and product folks, find a delight in products to build the engagement.